Looking for a New Kia Rio5 in your area? 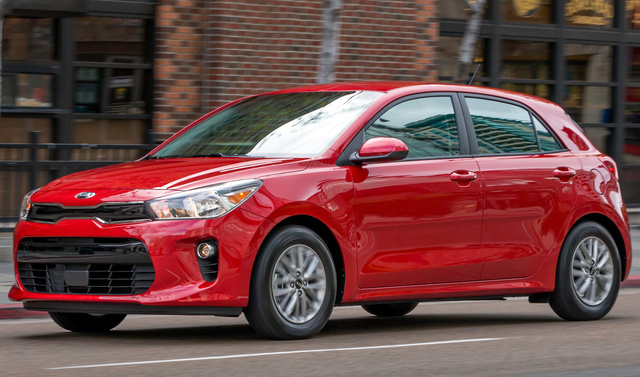 CarGurus has 817 nationwide Kia Rio5 dealers with 1,722 new car listings. 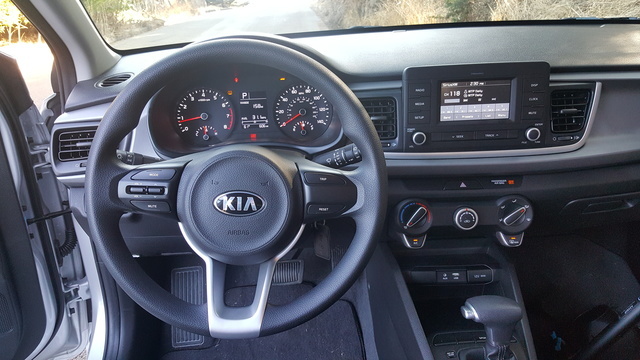 Completely redesigned, the 2018 Kia Rio adds style and substance to maintain its shocking stature as one of the best subcompact options on the market. 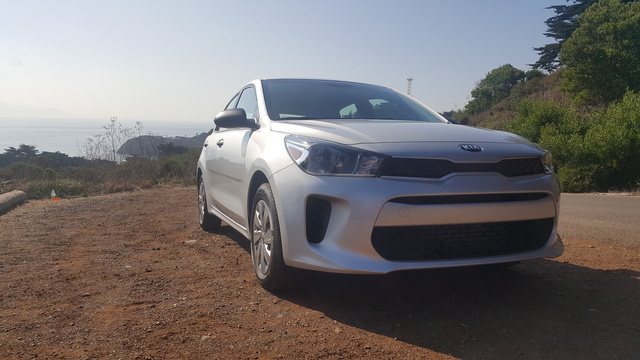 With the debut of its 4th-generation platform, the Kia Rio adds size and weight for a more stable presence on the road, concurrently firming up its suspension to toss a little sportiness into the mix. With quality construction, an impressive warranty, and a starting MSRP of just $13,900, it’s no wonder the Rio is Kia’s best-selling vehicle internationally. The redesigned Rio expands its physical presence, adding half an inch to its length and wheelbase and a few extra pounds to its heft while still remaining solidly subcompact. Available in hatchback and sedan configurations, the 2018 model sharpens the styling to avoid the bubble feel of the last generation. As a result, the hatchback takes on the look of a mini rally car, with a sharp new front end and classic lines cutting across its flank. Sedan or hatchback, the Rio is available in three trim levels: LX, S, and EX. 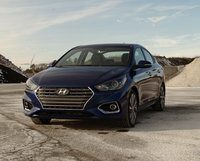 Starting with the EX, the $13,900 version gets you a 6-speed manual transmission—it’s another $1090 for the 6-speed automatic—plus automatic headlights, air conditioning, a tilt steering wheel, a rear-view camera in a 5-inch touchscreen display, plus a 4-speaker stereo with satellite radio and ports for USB and auxiliary audio jacks. That’s an impressive list for a base trim priced at under 14 grand, however this is a base trim. Ready for a trip back in time? The Rio LX comes with manual locks, windows, and side mirrors as well. If you don’t fancy the '90s auto experience with manual everything, the S sits firmly in the 21st century with keyless entry for the power locks along with power windows, heated power mirrors, cruise control, map lights, and a 6-speaker stereo with Bluetooth and an extra USB charging port. Another major change here is the inclusion of a sliding armrest on the center console with added storage, a game changer for the Rio interior and a major reason people will be willing to jump up to the $16,100 MSRP. Want to go all out? For $18,400 the LX upgrades to alloy wheels and a 7-inch touchscreen with the Uvo infotainment system, which means you get Apple CarPlay and Android Auto. The LX also comes standard with a tilt-and-telescoping steering wheel, fog lights, chrome grille, leather for the steering wheel and shifter, upgraded cloth upholstery, dual lighted vanities, and a forward-collision warning system with auto brake. To enjoy the pleasure of the 5-door hatchback configuration you’ll pay an extra $300. My week was spent in an LX-trimmed hatchback with the 6-speed automatic transmission. With $130 floor mats and an $895 delivery charge, the total price came to $16,315. Every Rio gets a 1.6-liter, 4-cylinder engine producing 130 hp and 119 lb-ft of torque. 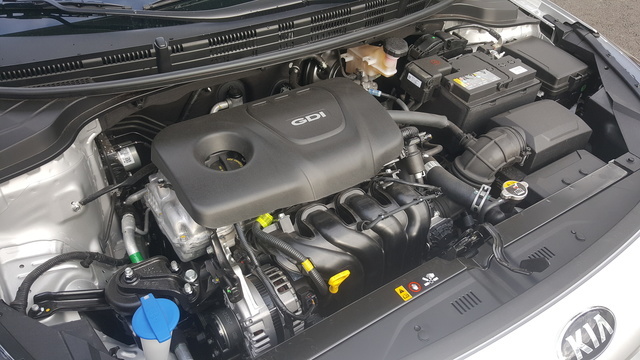 That power figure represents an 8-hp drop from the outgoing model, but Kia claims to have tuned the engine for more “usable power”—meaning peak power has moved down into the lower revs. I’d call BS, but this engine is everything Kia claims it to be. It’s responsive down low, as you’re not waiting for a turbo to spool, and the 6-speed transmission downshifts quickly for passing power. You’re not going to be blown away by the performance, but you’re going to get every bit of what the engine has to give without having to resort to begging, and that’s something a lot of small turbocharged engines can’t claim today, even if they are more powerful. The EPA rates the Rio at 28 mpg city and 37 highway for a combined rating of 32 mpg, but my averages were closer to the mid-30s, with one 100-mile stretch of mixed highway and city driving netting me 38 mpg. That’s impressive. Suspension and steering got some attention as well, and the result is positive. Steering is quite direct and very light while still providing enough resistance and nearly no dead zone, and the suspension manages the blend between firm confidence and comfort appropriately, with no crashing or hopping over rough surfaces. Even better, the little Rio has a turning radius of under 17 feet, so U-turns are no problem. The Rio has not yet been tested with regard to safety or braking distance. Last year, the Rio managed a stopping distance of 124 feet, which is average for the class. With larger brakes and a stiffer chassis this year, improvement is a possibility, but that must be balanced with the 2018 Rio’s 150 extra pounds. The LX’s manual locks, windows, and mirrors were curious anachronisms. How quickly we forget the old days. Reaching across the cabin to adjust the passenger-side mirror, only to settle back into the driver’s seat and see—nope, it’s still not perfect—and having to reach over and do it again. Or the joys of winding down rear windows from the driver’s seat, and good luck if you decide you want them open while already cruising down the highway. The real testament is how impatient people get when you have to unlock your door and get in before you can reach over and unlock their door. We just get used to these things and eventually take them for granted. But it all worked. And in a subcompact it’s all accessible, except maybe the driver’s-side rear window. Still, I see most people moving up to the S for the power accessories we’ve all come to know and love. The good news is, the Rio is quite roomy. Kia paid special attention to the space inside, getting help from a more upright windshield, plus a thinner headliner and seatbacks. A slightly stretched wheelbase and reconfigured interior results in an extra 2 inches of legroom for rear passengers, at the cost of an inch less for the front. 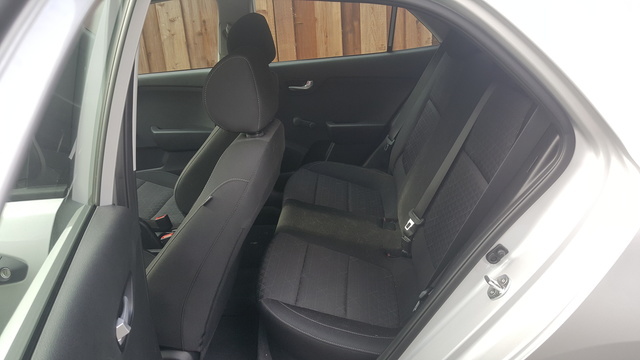 But even with the reduced room, at 6’4” I fit more than comfortably in the front without having to put the seat all the way back, and I could even fit in the rear seats with just a slight push forward from there. Rear volume has jumped as well. 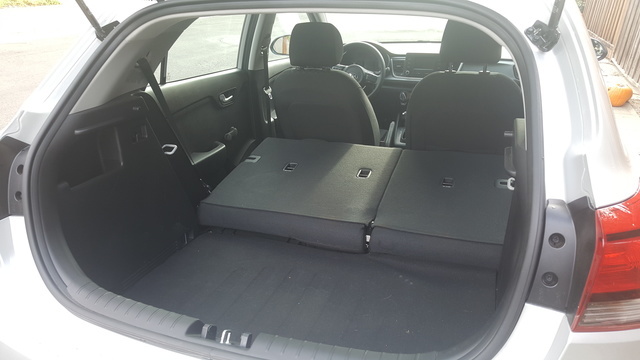 In my tested hatchback it went from 15 to 17.4 cubic feet, helped by a suspension redesign that flattened the floor, but total volume with the seats down has dropped from 47.1 to 32.8. Unfortunately there’s not much tech to be had with the Rio. In the base LX trim, the discussion begins and ends with the 5-inch touchscreen, offering satellite radio pumped through 4 largely inadequate speakers, with the benefit of USB and Aux connections. The S adds Bluetooth and an additional USB charging port, along with power accessories and cruise control, if you can call that technology. It’s a shame the EX’s Uvo infotainment system isn’t available in the lower trims, but apparently it’ll only fit in the EX’s upgraded 7-inch touchscreen. Given that, the EX is the only trim offering Apple CarPlay and Android Auto. Were Kia to make it available in the LX or S trim, the Rio could be a major disruptor in the segment. The 2018 Rio has yet to be tested by the National Highway Traffic Safety Administration (NHTSA). Added chassis rigidity should theoretically provide an improvement over the 2017, which was awarded a 4-star overall rating, as well as a matching score in nearly all tests. Of note was rear safety for the 2017, which earned the Rio its sole 5-star rating. I’d also like to see an improvement over 2017’s 124-foot braking distance. Larger brakes and a stiffer chassis bode well for the Rio, but these upgrades could be mitigated by an extra 150 pounds in 2018. The fact that you can purchase a new car in 2017 for less than $14,000 should end this conversation now. The fact that what you’re getting for that $14,000 is so good, albeit more than a bit Spartan, is even better. Hell, if you want to splurge and treat yourself with your Rio, it’s going to be difficult getting even close to 20 grand! I don’t love the fact that even with the top-tier EX trim, you’re still going to have to pay $130 for the pleasure of carpeted floor mats, nor that the EX is the only way to get Apple CarPlay or Android Auto, but the Rio remains an incredible deal in 2017. Toss in perhaps the best warranty offer in the industry and some current cash and financing deals through the dealer, and it’s hard to offer a more fiscally responsible alternative. 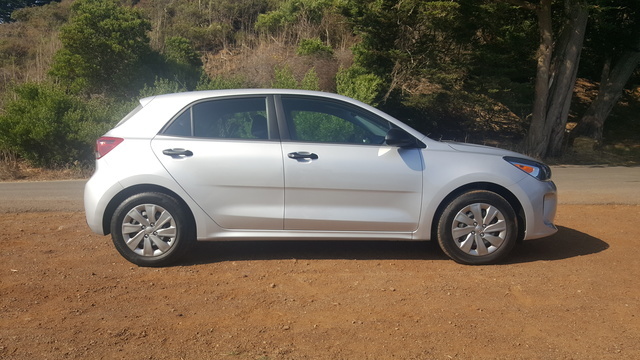 What's your take on the 2018 Kia Rio5? Users ranked 2018 Kia Rio5 against other cars which they drove/owned. Each ranking was based on 9 categories. Here is the summary of top rankings. 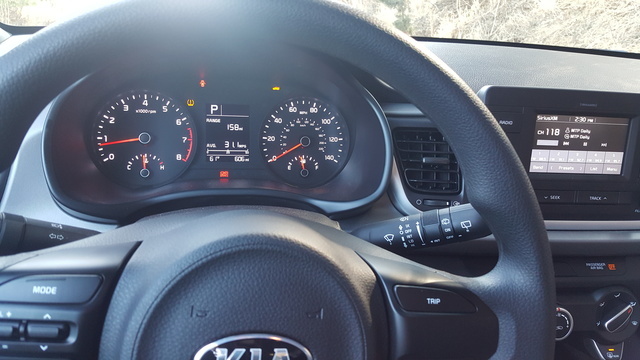 Have you driven a 2018 Kia Rio5? Enter your zip to see incentives for a new Rio5 in your area. CarGurus has 883 nationwide Rio5 listings starting at $3,150.